CS Low Temperature Seamless Pipes, A333 Grade 6 LT Seamless Pipes Suppliers, A333 Carbon Steel Low Temperature Pipes, A 333 Grade 6 Pipes Manufacturer, Low Temperature CS Seamless Pipe Exporter, ASTM A333 Gr. 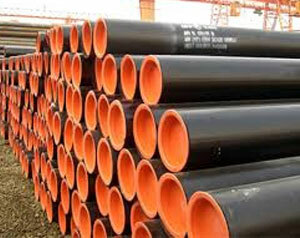 1 Pipe Exporter In India. 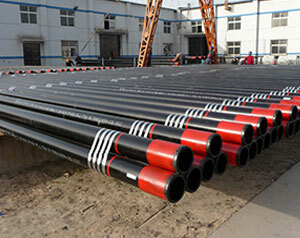 With nearly 30 years of experience in stockholding of Astm A333 Grade 6 Carbon Steel Pipe. 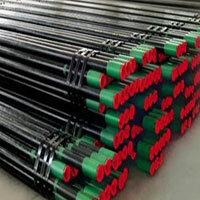 Neelcon Steel is BHEL, ONGC, NORSK, PED Approved one of the oldest dealer & supplier of a333 grade 6 pipe suppliers, Astm A333 Ltcs, Astm A333 Seamless Pipe, Astm A333 Welded Pipe, astm a333 low temperature pipe, A333 Grade 6 Pipe Stockist in india, oman,iran, iraq,usa,uae,uk, ksa, qatar, dubai, singapore,indonesia, Neelcon Steel is India’s leading provider of Complete steel solutions in India. With a national network of branches and distribution centres in Trinidad & Tobago, Singapore, Qatar, Ethiopia, United Arab Emirates, Oman, Malaysia, Kuwait, Canada, Australia, United States, New Zealand, United Kingdom, St. Helena, South Africa, India, Nigeria, Ghana, Hong Kong, Saudi Arabia, Philippines, Ireland, Pakistan, South Korea, Iraq, Norway, Finland, Egypt, Netherlands, Denmark, Iran, Kenya, Sweden, Thailand, Indonesia, India, Belgium, Taiwan, Greece, Germany, Neelcon Steel engages in markets and projects across Heat Exchangers, Pressure Vessels, Refineries Plants, Chemical Industries, Petrochemical Industries & Fertilizers sectors. Low Temperature Seamless Pipes Stockist, CS Seamless Pipes Prices, ASTM A333 Grade 6 Low Temperature Seamless Pipe Exporter, A333 Gr 6 Carbon Steel Seamless Pipe, Carbon Steel ASTM A333 Gr 6 Seamless Pipe Supplier In Worldwide. Neelcon Steel is India's 10th largest supplier, trader & Exporter of A333 Grade 6 LT Seamless Pipes, Carbon steel pipes and pipe fittings. We are specialised in Stocking & Distributing various A333 Grade 6 LTCS carbon steel pipes, pipe fittings and Forged flange to worldwide for specific & urgent requirements. Our ASTM A333 Gr 6 Low Temperature Carbon Steel Pipes are easy to weld, form, and fabricate and their resistance to corrosion from, amongst other things, acids naturally contained in food has resulted in them being used widely in the food and drink processing industries. These ASTM A333 Gr 6 LT CS Pipes are made up of high quality raw material using the latest norms and trends of technology. Neelcon Steel is a recognized trader and manufacturer of our ASTM A333 Gr 6 Low Temperature CS Pipes, which is suitable to use in various machines for proper fitting. We are dedicated to continually offering an extensive range of our ASTM A333 Gr 6 Low Temperature CS Seamless Pipes in the industry, which is developed by use of high grade quality raw materials and state – of – art machines in compliance by means of set industrial quality standards. 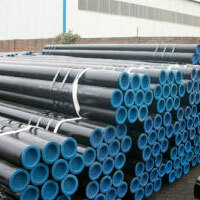 ASTM A333 GRADE 6 CARBON STEEL SEAMLESS PIPES, SEAMLESS CARBON STEEL PIPE SIZES, CS ASTM A333 GRADE 6 SEAMLESS PIPING, ASTM A333 GR 6 SEAMLESS PIPES, ASTM A333 GR 6 CS SEAMLESS PIPES SUPPLIER IN MUMBAI. These ASTM A333 Gr 6 LTCS Seamless Pipes when mixed with steel increase the hardness, chemical resistance, and strength of pipes and tubes. Our ASME SA 333 LTCS Grade 6 Seamless Pipes are in conformation with the industry standards and are known for their application specific design, corrosion resistance, and durability. 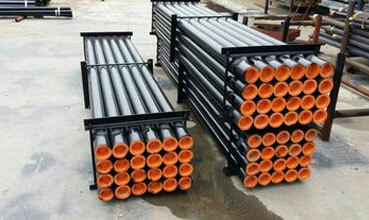 These ASME SA 333 Low Temperature CS Grade 6 Seamless Pipes with threaded connection ends are superlative for connecting the pipelines of gas, oil, and petrochemical industries ensuring leakage free material flow. 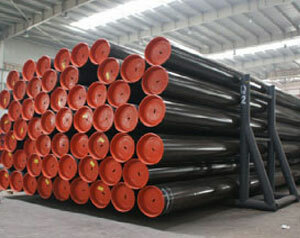 ASTM A333 (ASME S/A-333) Pipe grades permit low temperature service. This specification covers nominal (average) walled pipe almost exclusively in seamless. Several grades of ferritic steel are included. 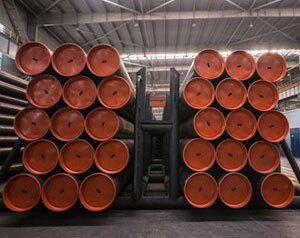 ... A333 pipe is furnished to nine different grades designated by numbers 1, 3, 4, 6, 7, 8, 9, 10, & 11. ASTM A333 Grade 6 alloy pipe shall be made by the seamless or welding process with the addition of no filler metal in the welding operation. ASTM A333 Grade 10 alloy pipe shall be made by the seamless or welding process with the addition of no filler metal in the welding operation. 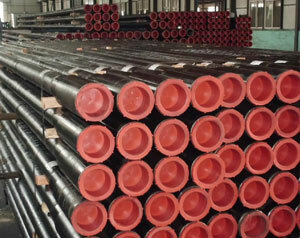 ASTM A333 Grade 10 covers seamless and welded steel pipe for low temperature service. 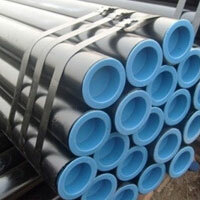 ASMT A333 Grade 3 seamless and welded pipes shall be treated to control their microstructure. 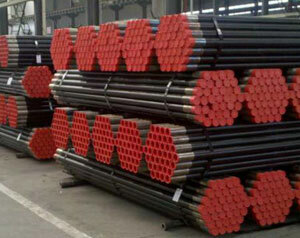 ASMT A333 Grade 9 seamless and welded pipes shall be treated to control their microstructure. 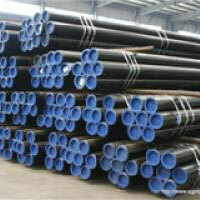 ASMT A333 Grade 7 seamless and welded pipes shall be treated to control their microstructure. This specification covers nominal (average) wall seamless and welded carbon and alloy steel pipe intended for use at low temperatures. Several grades of ferritic steel are included as listed in Table 1. Some product sizes may not be available under this specification because heavier wall thicknesses have an adverse affect on low-temperature impact properties. Note 1: The dimensionless designator NPS (nominal pipe size) has been substituted in this standard for such traditional terms as “nominal diameter”, “size”, and “nominal size”. 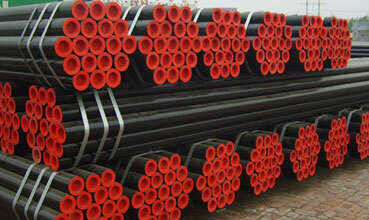 Mainly Grade of ASTM A333：The benefits of alloy steel pipe include its tensile strength, yield strength, fatigue resistance, toughness, and wear resistance. Inspections and Tests Performed: Chemical Composition Inspection, Mechanical Properties Test(Tensile Strength,Yield Strength, Elongation, Flaring, Flattening, Bending, Hardness, Impact Test), Surface and Dimension Test, No-destructive Test, Hydrostatic Test. Package: bare packing/bundle packing/wooden carton packing.